The First Troop Philadelphia City Cavalry is the oldest military unit in the United States, still in active service. 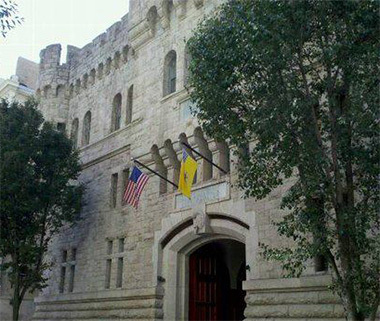 It is the only military unit that owns it’s own Armory building, located in Philadelphia, Pennsylvania. The First Troop Armory building, located in the Rittenhouse section of Philadelphia, is registered with the historical society. The building recently underweat renovations, which included the furnishing and installation of new electrical wiring and lighting for the administration and reception halls. Hatzel & Buehler provided all electrical service and equipment, power distribution and lighting, interior lighting, emergency lighting, utilization equipment connections, fire alarm system, telephone raceway/pathway system and temporary power and lighting.